As my mother-in-law recovers from surgery, my wife and I have been staying with her and other family in Linping. Surrounded by mountains, overflowing with clean air, the perfect place to rest and relax… This was the sales pitch. Linping is nice but it’s not the paradise people told us about. It’s a busy suburb on the outskirts of a bustling city, Hangzhou. So rather than taking a breather to do some serious writing, I’ve kept up my frantic search to uncover more documents. From Linping, it’s an hour-long subway ride to Hangzhou and an hour-long high-speed (gaotie) train to Shanghai Hongqiao. Over the past two weeks, I’ve been jumping between these cities during the day to continue research at the Shanghai Municipal Archives and to further explore the Huangpu District Archives, the Hangzhou Municipal Archives, and the Zhejiang Provincial Archives. With the National Day celebrations upon us, however, the family decided today to ditch the “mountains” and head back home to Pinghu, a small city close to Shanghai. Maybe I’ll do some writing here? Not yet. Pinghu is just southeast of Jiaxing, a city which (sort of) hosted the 1st Party Congress of the Chinese Communist Party in 1921. Given the proximity with Pinghu, I couldn’t help but check out the 嘉兴市档案馆 Jiaxing Municipal Archives once we got settled at home. This was another new archive for me, and one which I don’t think too many others have bothered to check out. Jiaxing is smack in the middle of the Hangzhou-Shanghai rail line, so it’s not too far out of the way if you visit either one of those larger cities. Everything went smoothly at the archives, even if I did not obtain too much information directly related to my dissertation project. Most of the files I read and took notes on were useful either for describing the atmosphere of the late 1950s and early 1960s in East China or for comparative purposes–who knew Zhejiang carried out a major campaign to move people to Ningxia, starting in 1959? I didn’t. The procedures to get started were fairly routine: say hello, introduce yourself, present a letter of introduction from your danwei, and show your passport. The staff were helpful and friendly. They searched their catalog and saw that they did have some items which were related to my research project. So they sent me across the hall to the reading room. The reading room is filled with a few computers for public use. There is also one staff person in there frantically scanning and digitizing documents. The archives is in the process of digitizing all of its PRC-era holdings, but it is still open even in the midst of this major project. There are some drawbacks to researching in Jiaxing. 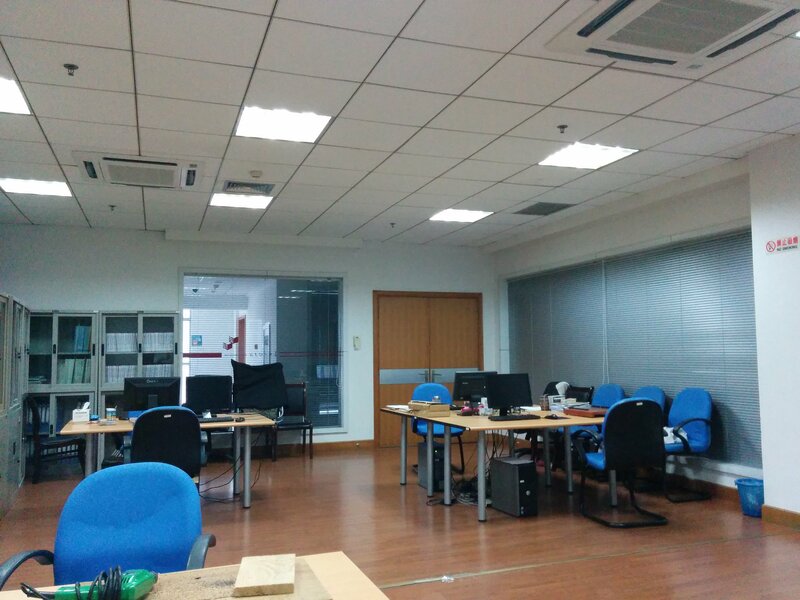 Unlike Shanghai, the staff do not want you searching the catalog or database of digitized documents on your own. The database is catch-all: it doesn’t distinguish what is open to the public and what is not. So, like in the Zhejiang Provincial Archives, you are ultimately stuck with whatever searches the staff run for you and whatever files they decide you can see. Am finding good things tho. They loved that my spouse is from Jiaxing, so maybe I'm getting better access than I might otherwise. At this point, the staff prepared a dozen or so files for me and left me alone to read. No printing or pictures allowed, but note taking or transcribing documents is okay. I processed the initial set of records within an hour and asked the staff to run a few more searches for me. They did so without complaining and I had a new set of docs before too long. At one point the staff emerged with two paper folders. They dug up a few files they thought might be useful for me but had not been digitized yet. Interestingly, the folders contained all sorts of stuff, both related and unrelated to my project. This was a good thing. I happily glanced though, for instance, a forty page Foreign Ministry dossier on the Sino-Indian border dispute from 1959. I don’t think the staff realized what else was in the folders, but I didn’t bother to alert them of their mistake. Handed thick folder with a single short document on population movements (my topic); the rest, long file on Sino-Indian border dispute. 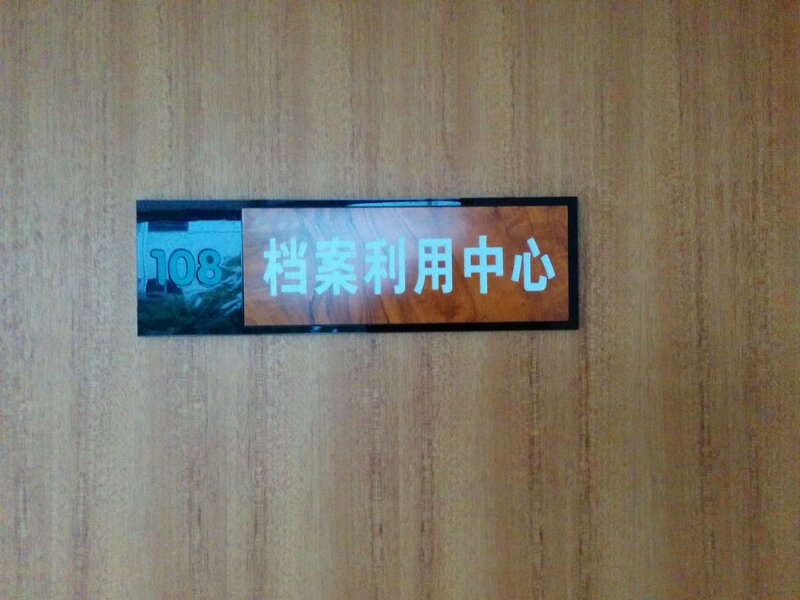 I left the Jiaxing Municipal Archives mid-afternoon feeling encouraged. One successful day in a Chinese archive is just that–one day. 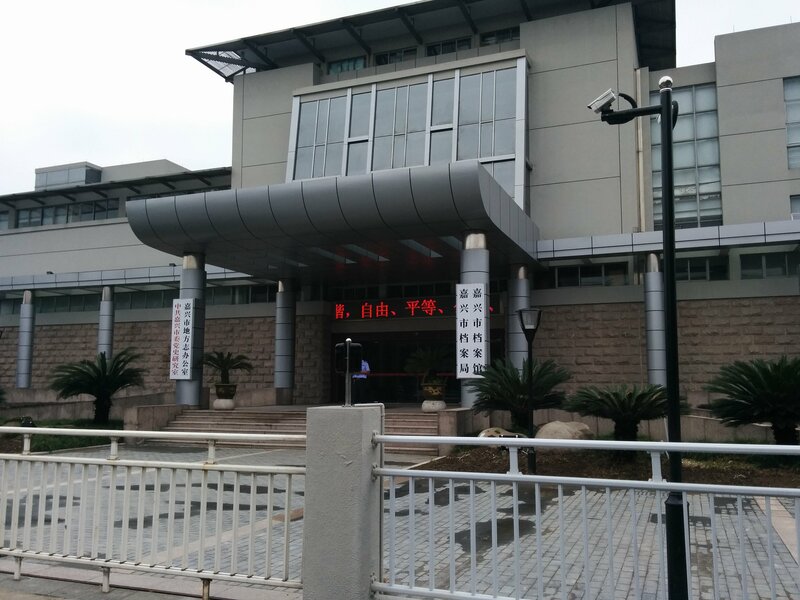 But I will definitely go back to Jiaxing to obtain additional materials related to my dissertation project, as well as to get a better sense of what other information one might get out of the archive. Who knows, this might be a very promising place for others to do research. 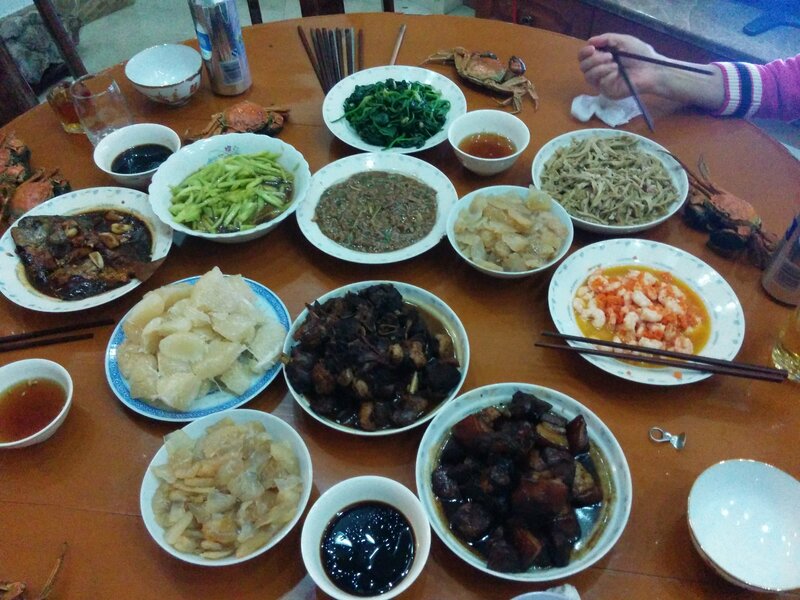 Even better than a good day in the archives, there was a family dinner upon my return to Pinghu in the evening. With all archives closing for the National Day holiday, maybe I’ll finally do some writing this weekend…Maybe. 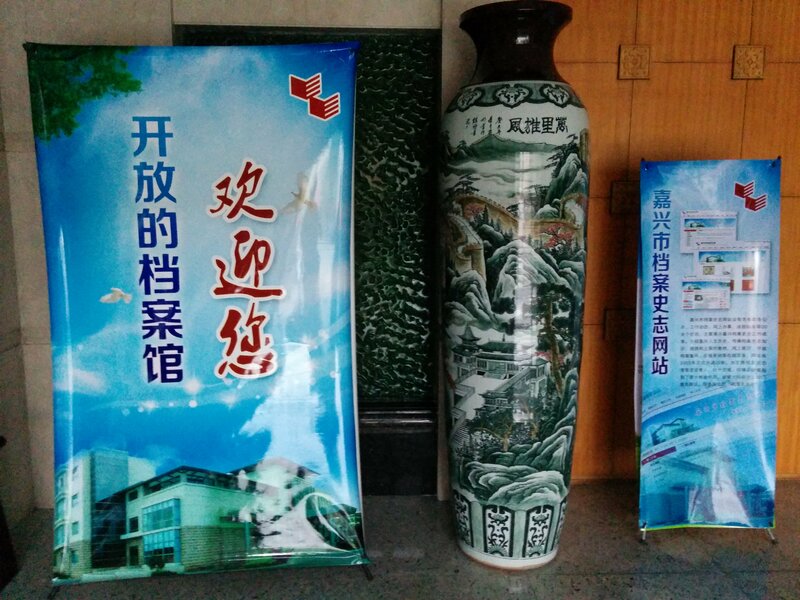 The Jiaxing Municipal Archives is located at 嘉兴市海盐塘路201号.